In Art Imitating Life, I posted a photograph in which workers were unloading a truck and, by coincidence, that scene was depicted exactly in the mural right above their heads. It’s delightful to catch those moments, but photographers can set up similar interactions with art, creating an entire new pictorial presentation, while sometimes adding a bit of whimsy. Another blog post, Mea Culpa: Breaking the Rules at the Art Museum, has an example of creating a new vignette from an old painting. Here’s a series of photographs that incorporates a new portrayal of a work of art. The photographer doesn’t just take a picture of art, but rather creates a new interpretation from the surrounds or by including their own additions to the scene. 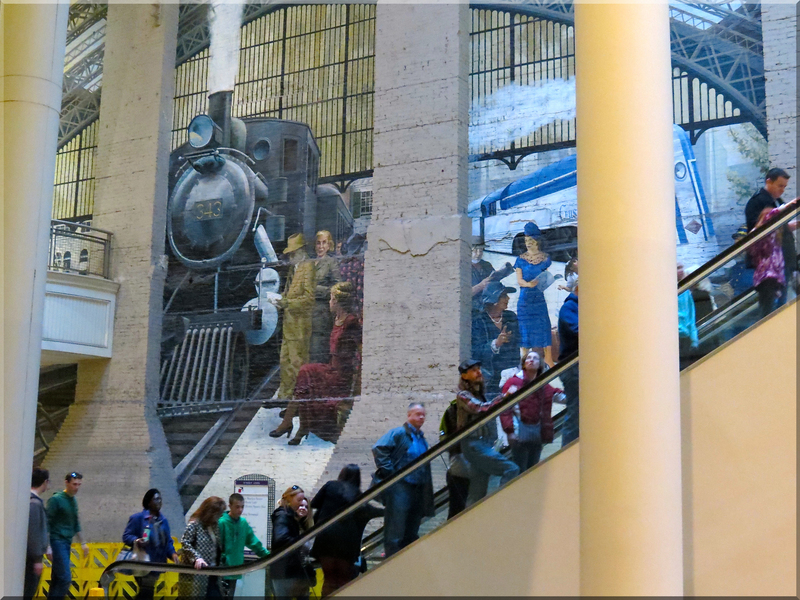 The escalator provides the conduit for real-life subway patrons to become part of a scene of a train station mural. 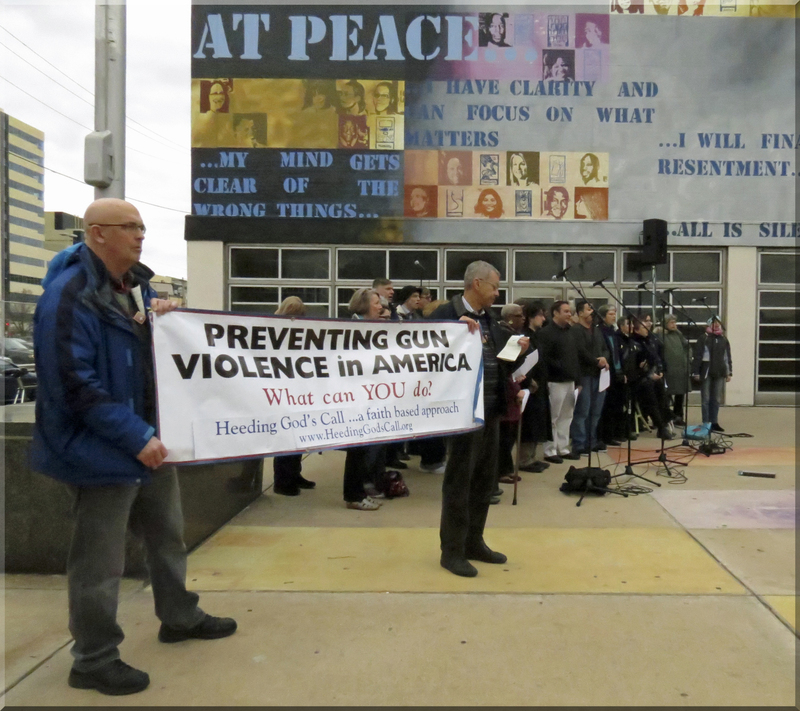 Message on the wall replicates the sign the men are holding, reinforcing the theme. 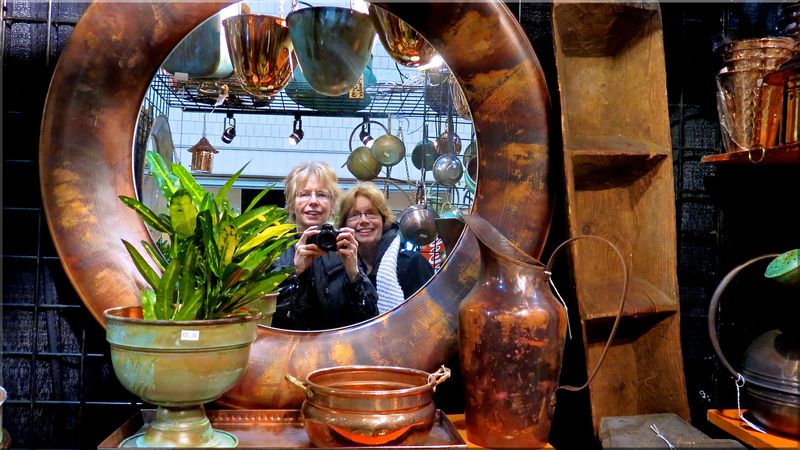 Using a mirror in a still life display to insert a selfie. A couple stands in front of a mural in West Philadelphia. 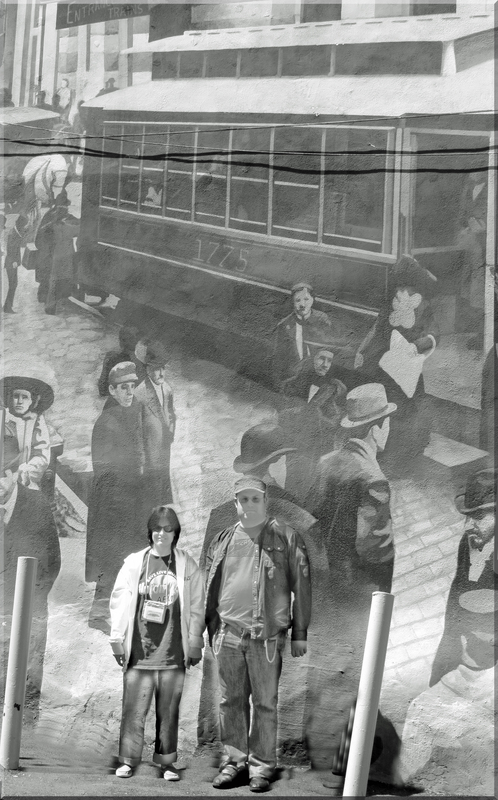 Since the mural is painted in black and white, I changed the color in the photograph to match the background. 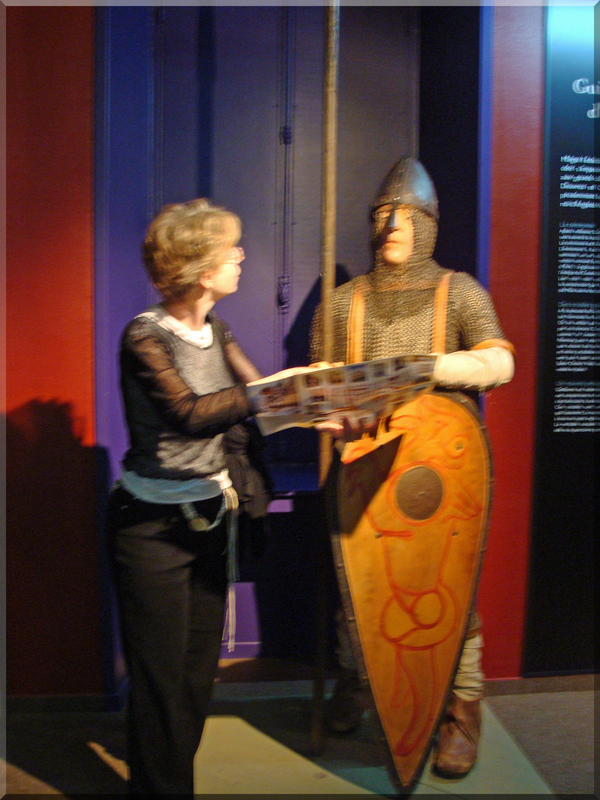 When traveling through France we were often lost, and to tell that story, I am asking directions to unresponsive statuary. Have you incorporated an interesting art piece into any of your photographs to create a new vision? Leave a link in the comments! Art begeeting art. Love it. I think your first photo in https://worldismycuttlefish.wordpress.com/2013/07/15/creative-twists/ captures the theme here. Thank you. That was a lucky find.